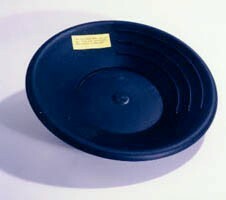 Industrial Minerals are non-metallic, non-fuel minerals that are used in everything from cosmetics to pharmaceuticals. 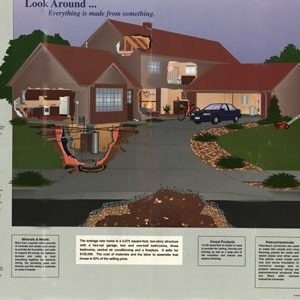 The back of the poster contains a map, mine examples and three simple hands-on activities. 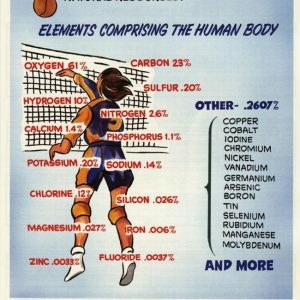 Industrial Minerals are non-metallic, non-fuel minerals that are used in everything from cosmetics to pharmaceuticals. 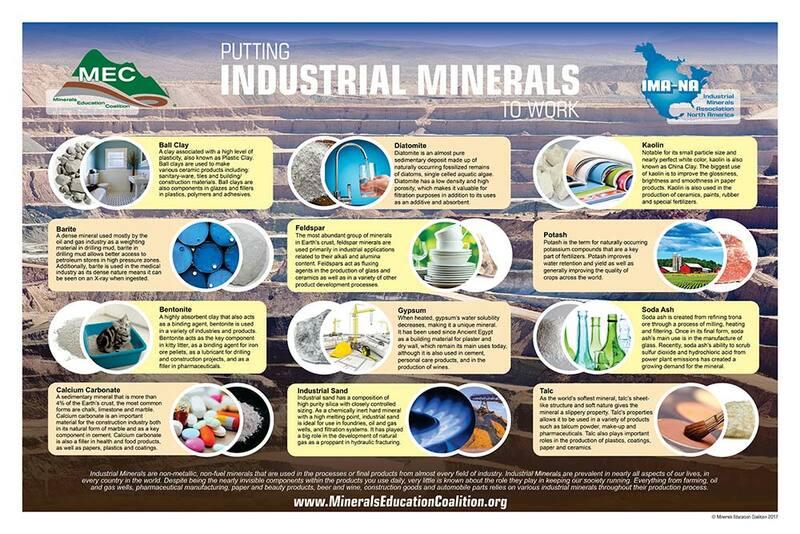 The front of the poster depicts 12 common industrial minerals and some of the important ways in which they are used. 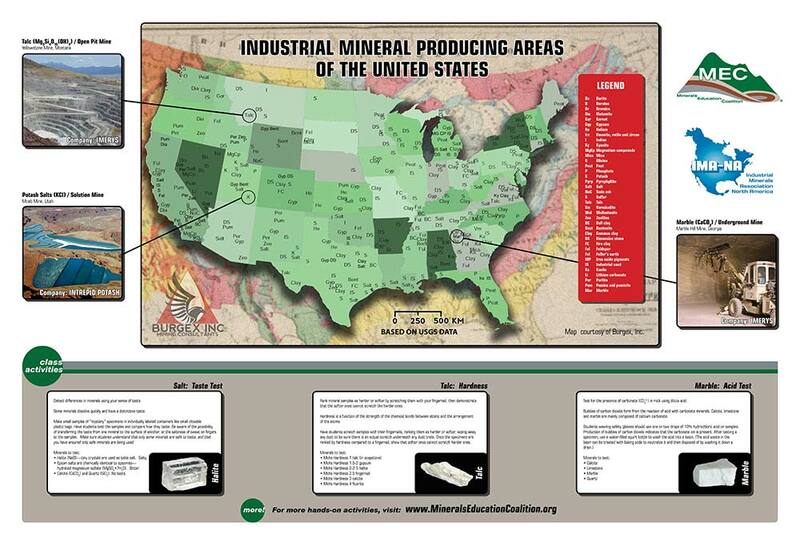 The back of the poster contains a map of industrial mineral producing areas of the United States, mine examples and three simple hands-on activities for testing mineral properties in the classroom. 36” x 24” 2-sided poster created in collaboration with the Industrial Minerals Association of North America.